It’s a weird situation any way you slice it, but it gets a lot weirder when someone is eating something that everyone else can/has to smell. And in my case, it was the smell of roasted corn. What!!! 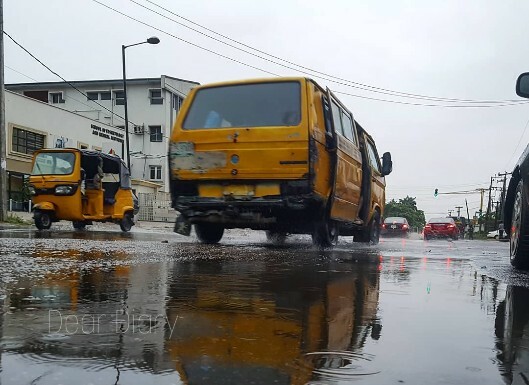 Anyone who has been trapped in traffic on a public bus (whether it is a very sunny day or raining cats and dogs) will attest to this — it is not an interesting experience to smell the food of another passenger. I lost a bit of my home training today. And it felt really good. As I opened my bag and brought out a fresh roasted corn that was beautifully wrapped in an old newspaper, the smell drafted through the air and filled the bus. The faces of the eager commuters on the bus instantly changed. Some sleep-deprived passengers woke up with a frowny face while others checked time and non-verbally sent negative vibes of disapproval throughout the bus. But I didn't care as I took another bite. Yummy! Thankfully, I was right on the passenger's seat next to the driver. Shared with him. He ate too. 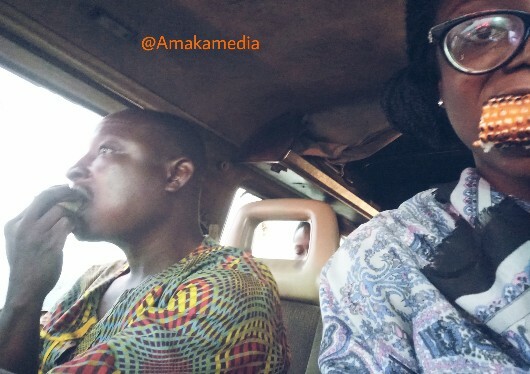 Yes oh, hashtag #chillingwithadanfodriver. Lmho. Eating roasted corn on public transit is not something to be exactly proud of. But then again, every day cannot be the same. Some days are better than others, but no matter how challenging the day, let's get up, enjoy and live it. 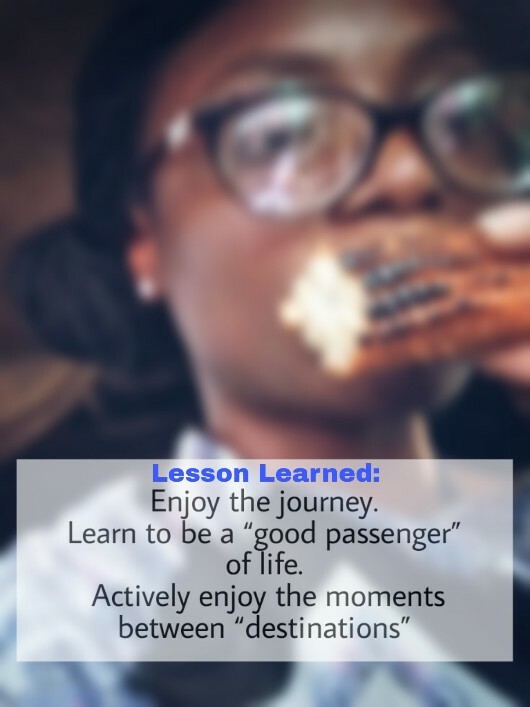 I think the lesson here is, learn to be a “good passenger” of your journey – actively enjoy the moments between “destinations” as they make majority of your life. 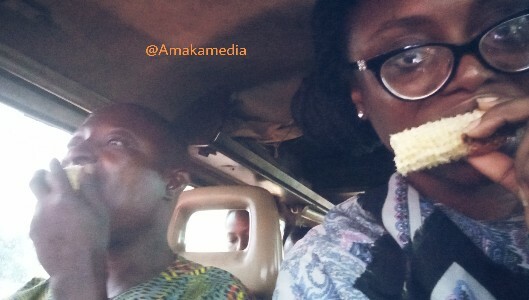 If it requires you eating roasted corn on a public bus to be a "good passenger of life", then please do. Lol. About eating on the bus, we must take the charitable view and realize that this may be distracting and a little frustrating, especially if the passenger sitting next to you is hungry. Be kind enough to share with them. Or, be patient enough to eat after you get out of the bus. Ultimately, however, we shouldn't go for whole meals on the bus, but sometimes it's an unfortunate necessity. It was raining and I was freezing. Hot fresh roasted corn came to my rescue. Phew. What’s the worst thing you’ve ever seen/smelled someone eating on public transit? Let us know in the comments!